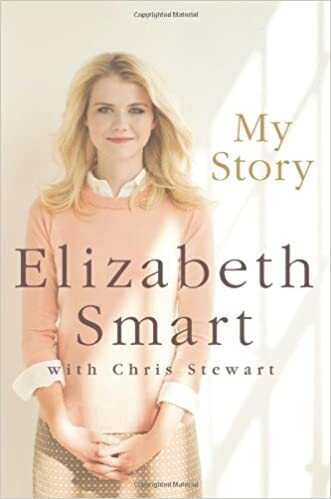 Elizabeth Smart is revealing the anguish she felt during her kidnapping as she promotes her memoir. Smart, who is now 25-years-old, sat down for an interview with Meredith Vieira about the nine-month ordeal that began when she was taken from her home in the middle of the night on March 12, 2003. ‘To her I was a slave and to him I was an object,’ Smart said of her captors during a clip of the NBC interview. The then-14-year-old Smart was taken by Brian David Mitchell and his wife Wanda Ileen Barzee who then hid her in the woods and raped her on an almost daily basis before she was found nine months later. Smart has spoken about her experiences a number of times, including at her captors’ trials where she helped sentence Mitchell to life in prison and Barzee will be behind bars for 15 years. ‘I mean, here I was, a 14-year-old girl, ripped from my family, from the life I knew, from my friends, from the people I loved- being raped every day, not knowing when I’d be able to eat next, not knowing when I’d be able to drink next, and being chained to a tree,’ Smart said in the interview with Vieira. Since her kidnapping, Smart has tried to keep herself focused on her future as opposed to the past, but her most vivid testimony came when she spoke at the hearing for her captor. Mitchell, a religious fanatic, initially submitted an insanity defense and repeatedly sang to himself in the courtroom but Smart was poised and direct in her verbal confrontations with him. ‘I know that you know what you did is wrong, she said in the 2011 court appearance. ‘I also want you to know that I have a wonderful life now, that no matter what you do will it affect me again… but in this life or next you will have to be held responsible for those actions and I hope you are ready for when that time comes,’ she said.